In a situation where the number of migrants, refugees, asylum seekers and unaccompanied minors increases substantially every year in Europe, educational institutions are faced with the problem of meeting new education and training needs, especially regarding the development and improvement of language skills. The IRIS project, centered on teacher training, proposes building tools useful to improve the skills of teachers and educators working in multicultural contexts characterized by the presence of multilingual individuals. The goal is to enable the teachers to enhance the multilingualism of their learners and make the relationship with the host environment more positive and inclusive. The skills that need to be improved or acquired regard L1 and L2 use, storytelling, self-reflection skills and digital competence, developed thanks to communication within the network of partners and through blended training (alternating in-person and distance). In addition, teachers will acquire intercultural skills based on comparison of curricula from the various countries involved and the co-construction of a network of educational materials with the teachers involved in the training experiences in the different contexts. The skills acquired will enable teachers to take on a leading role, in the institution (public or private, formal or informal) where they operate, in all actions that facilitate the inclusion of newcomers and they will become promoters of intercultural practices and the development of multilingualism for all learners, whatever their origin. Farsi Prossimo Onlus is a no profit organization supported from Caritas Ambrosiana. It was founded in 2003 and it is an A type social cooperative, providing social and educational services. 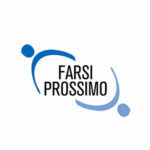 Farsi Prossimo Onlus is involved in educational and social services in Lombardy, in Northern Italy. Its main scopes and objectives are: – promoting, developing and managing social services and social integration initiatives. – pursuing the public interest of the community and improving human and social conditions. – helping, taking care of and supporting refugees, immigrants, minors and families, marginalized people and women victims of human trafficking. We manage social and educational services like refugees centres, humanitarian emergency centres, residential communities for mothers and children, counselling offices, school orientation contact points. We work together with the most important regional and local public institutions, and we try to create new models to support and empower people in need, developing new methods and approaches. Our working areas are: immigrants & intercultural integration; minors and family; women victims of human trafficking; severe emargination; training laboratories for women aimed at social and work inclusion. Farsi Prossimo employs 262 people (including 254 working members). It is a member of Consorzio Farsi Prossimo, a consortium of social cooperatives founded in 1998. 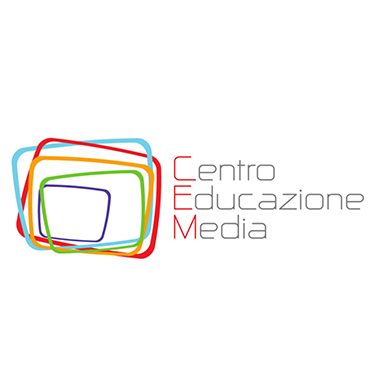 CEM (Pavia Media Education Center) is a no-profit association that has the aim of promoting the study, dissemination and training of relevant disciplines: a) the media education and media responsible use; b) the enhancement of multi/plurilingualism and any communication code; c) the expertise in building educational projects locally, nationally and internationally. Pursuing its objectives, CEM – Organizes and carries out research and teaching; – Organizes and manages events and training courses ; – Creates and publishes multimedia materials; – Develops, builds and manages projects, also in collaboration with public and private entities at the local, national and international levels; – Constitutes research networks and local training, nationally and internationally. MEDIA EDUCATION The working group of the MEDIA EDUCATION focuses on promoting an effective approach to the media, working mainly on two aspects: the raising of awareness of every individual with respect to the risks and opportunities of the web and the integration of media in teaching. CEM takes care to provide strategies and methods to better understand today’s kids, the digital natives, analyzing how to act for dealing with possible risks that the web can bring (eg the Cyberbullying), but also how to exploit the immense opportunities that it offers, in terms of social, emotional and cognitive development (eg carry out together with the Municipality of Pavia – Department of Education and other organizations the project “Safe in the Network” for secondary schools, which will start in February 2017 for the third edition). 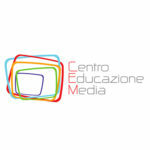 CEM offers courses on the integration of digital media in education as tools for learning and expressing creativity. The goal is to provide through targeted activities, b.p. Digital Storytelling, the skills required to actively participate in the construction of traditional and digital knowledge. VISION – Verein für Internationale Sprachzertifizierung, Informationstechnologie, Organisation Networking, is a non-governmental, non-profit organization established in 2003 (Salzburg LPD 671697239) to carry out specialized activities in the field of language education for specific purposes and in close cooperation with the CEBS (Language Competence Centre for Vocational Schools and Colleges of the Austrian Federal Ministry of Education). Its aim is to support quality in language education, in school management and in international cooperation in the sense of the European dimension and for the Austrian VET institutions. Its members are teachers in Austrian VET schools, in University Colleges of Teacher Education and other educational institutions. VISION supports CEBS in all its activities and is responsible for all necessary commercial undertakings such as for international language certificates, national or international funding as well ascontracts especially within European partnerships. CEBS: Founded in 1992 as an institution affiliated to the VET (Vocational Education and Training) directorate of the Austrian Federal Ministry of Education, CEBS (CenterfürberufsbezogeneSprachen) operates as a national in-service teacher training centre specialising in vocationally-oriented language education. As a think-tank and advisory body in matters of professional and institutional development, curricula design and language assessment, it aims at harmonising international educational policies and programmes, as developed and promoted by the European Commission and the Council of Europe, with Austrian initiatives and policies. It considers itself a driving force as regards the integration of ICT into foreign language teaching, the development of teaching/learning concepts related to CLIL (Content and Language Integrated Learning) and of formative assessment and it operates as contact point and switchboard between Austrian vocational schools and colleges and economic institutions and businesses at home and abroad. 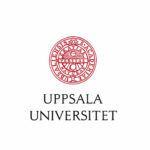 Uppsala University (UU) is Sweden´s first university and was founded in 1477, with a long history and rich traditions. At Uppsala university there are about 40.000 students, approximately 23.000 full time students and 6.300 employees. 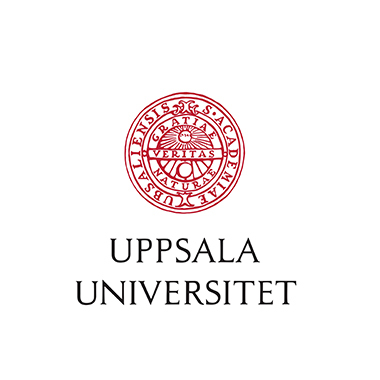 Uppsala University is a broad research university with well-defined missions: to conduct research and education of the highest quality and to collaborate with the surrounding community. The Department of Education (EDU) is one of the largest departments at Uppsala University. The Department of Education has around 200 teachers, researchers and administrators employeed. The department has around 3.000 students. The subject areas: Curriculum Studies, Educational Sciences and Educational Sociology. The most extensive education commission is within the core courses of the Teacher Education Programs. The Teacher Education Programs consist of Preschools and Preschool Classes, (Preschool Classes, preparatory for children aged 6-7). Primary Schools, divided into a Preschool Class and grades 1-3 and grades 4-6. Secondary Schools Grades 7-9 and Upper Secondary Schools. Uppsala University (UU) provides support for quality efforts undertaken by departments and faculty boards. This is given in the form of, for example: Alumni studies, Course evaluation support, Evaluation support, Support for quality assessments by the Swedish Higher Education Authority. At Uppsala University there are pan-University support functions for quality work: Office of Quality Enhancement and Academic Teaching and Learning, Office of User Support and Educational Technology, Competence Forum. For international students we take part in International Student Barometer (ISB) and other quality systems. University Paris 8 is a higher education and research center in humanities, social sciences, arts, computer sciences and economic sciences. 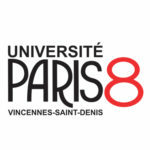 With over 30% of its 22,000 population made up of international students, the University of Paris 8 is the most international of French universities, giving birth to the concept of “world university” that defines it today. 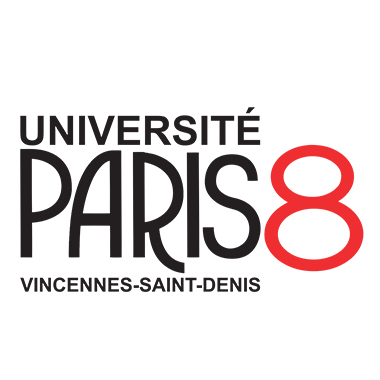 The University of Paris 8 is actively working to promote international cooperation initiatives to respond to a continuous demand in both the teaching and the research fields. Paris 8 has developed expertise in international relations and management research in order to assist students, teachers and staff in their entire range of international projects. There are double degree programmes including 13 active ones and 2 degrees offshore. In the development of these projects, UP8 has been involved in an increasing number of European projects such as Erasmus+ Strategic Partnership, Erasmus+ Capacity Building, Erasmus+ Joint degrees, Erasmus Mundus, Erasmus+ International Credit Mobility, EuropeAid, etc..
University Paris 8 participated in the European Project PLURI-LA (Multilingualism – Language Autobiographies). She was the sponsor of the 2012-2014 project with partner countries: Italy, Romania, Sweden, Portugal, England and Poland. At the end of the project, pedagogical guides, a training module for trainers, a booklet of plurlingual texts (Booklet), a map of languages, the Newsletter, were proposed. A final conference was held in May 2014 at the university. Romanian colleagues published two books in French, English and Romanian on “language autobiographies”. 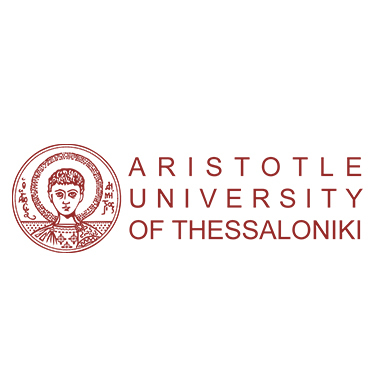 The Aristotle University of Thessaloniki is the largest university in Greece, with 11 Faculties organized into 41 Schools. Almost 73,000 under- and postgraduate students study at the Aristotle University, the Teaching and Research Staff numbers 2,500 people. AUTH holds 146 International Scientific Agreements with Universities in Russia, U.S.A., Canada, Australia, the Near, Middle and Far East. Also, it has currently approximately 538 bilateral agreements with European Universities and it has suported the implementation of TEMPUS, JEAN MONNET projects, etc. It also participates actively in several ERASMUS MUNDUS Action 1 & 2 consortia. AUTh ranks first among Greek higher education institutions in terms of mobility. In addition, since 2015, Aristotle University runs an Erasmus+ ICM programme in the framework of which 60 agreements have been signed with universities in 29 countries all over the world. AUTH participates in 25 HORIZON 2020 projects in diverse research areas. Ever mindful of rapid change and progress, AUTh constantly update its strategy, policies and everyday practices, in order to meet contemporary local and global demands. The University has been able to determine its strengths and weaknesses and to adopt a holistic internationalisation strategy. Research Policy AUTh’s Research Policy has two main objectives: first to promote quality and then to foster excellence. Having the quality as a priority and driven by the principals of measurement, correction, evaluation and redefinition, the University aims at its distinction in the international research arena. 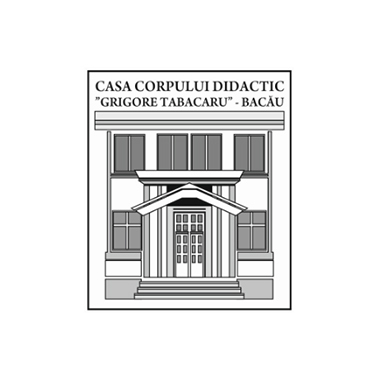 “Grigore Tabacaru” Teacher Training Centre Bacau, Romania (CCD Bacau) is a non-profit public institution, subordinated to the General Directorate of Human Resources Management from the Romanian Ministry of Education and Scientific Research. Its mission is to promote innovation and reform in education, and to provide the framework for personal and professional development of staff in pre-university education. The activity of CCD Bacau is regulated by National Education Law no. 1/2011 with subsequent modifications, correlated with the European and national policies and strategies for education, and in accordance with professional and quality standards for teaching career. 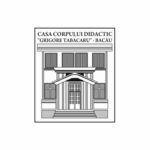 CCD Bacau has a broad and diversified portfolio of teacher training programs developed by its own trainers, as well as, by collaborators, specialists in various fields. During school year 2016-2017, the seven trainers and over 50 collaborators are runningeight continuous training programs accredited by the Romanian Ministry of Education, totaling 170 professional credits, and another 96 courses endorsed by the same Ministry, classified in eight categories: Curriculum Development; Educational Management; Educational Strategies; Methodical Counseling; Assessment in Education; Psycho-pedagogical Counseling; Non-formal Education; Personal Development. The courses are carried out face to face and online using the platform iTeach.ro. It is a professional platform designated to personal and professional development of educators.It has over 17400 users at national level and provides a network for collaborative projects between schools. The online courses developed and conducted by CCD Bacau can be taken by trainees as both as self-paced and with tutoring. 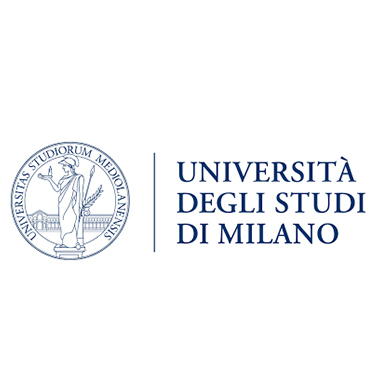 The University of Milan is a public teaching and research university. With 8 faculties and a teaching staff of more than 2000 professors, it is distinguished by its wide variety of disciplinary fields. 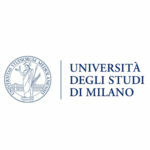 A leading institute in Italy and Europe for scientific productivity, the University of Milan is the largest university in the region, with approximately 64,000 students; it is also an important resource for the socio-economic context of which it is an important part. Milan is, in fact, the capital of Lombardy, one of the most dynamic and international regions in the European Union, a leader in the national economy that stands at the Italian forefront of research and development investments and commitment to technological innovation. CALCIF, UNIMI University Centre for the Promotion of Italian Language and Culture Chiara and Giuseppe Feltrinelli” will direct the project and the activities to be carried out. Among its institutional purposes are central teacher training and activation and implementation of activities aimed at the promotion and development of the language and knowledge of the Italian culture among foreigners and Italians.